You make a one off payment to create your PDF artwork file and then you're free to print as many copies as you wish. Rosie has gone all vintage with her retro styling. A range of Cross Stitch designs for the handmade look. 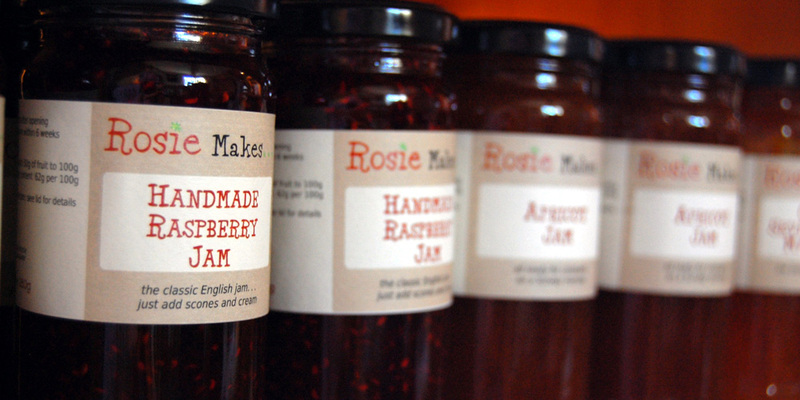 A range of labels with the technical requirements for jams and preserves designed with the Artisan producer in mind. Basically we can set up fully customised templates for you so that you can easily produce consistent, smart and accurate labels in no time at all. You pay once to produce a PDF artwork file for each of your products. You can then print as many copies as you wish.